Healthy eating habits lead to healthy teeth. Like the rest of the body, the teeth, bones and the soft tissues of the mouth need a well-balanced diet. 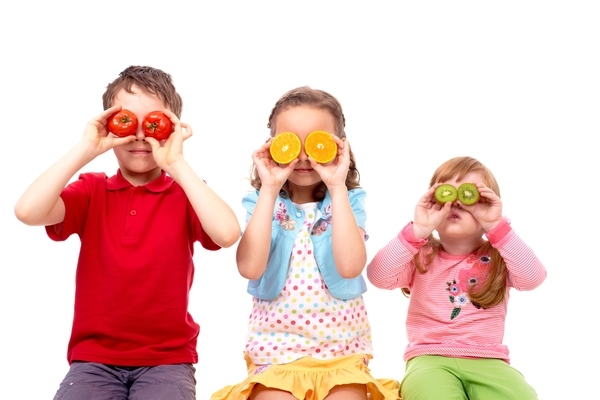 Children should eat a variety of foods from the five major food groups every day. They should consist of fruits, vegetables, breads, cereals, dairy products, meat, fish and eggs. A healthy, balanced diet naturally supplies all the nutrients your child needs to grow. Diet can vary for children with special needs. Does my children's diet affect their dental health? If your child has a diet high in carbohydrates, such as sugar and starches, they are at a higher risk of tooth decay. 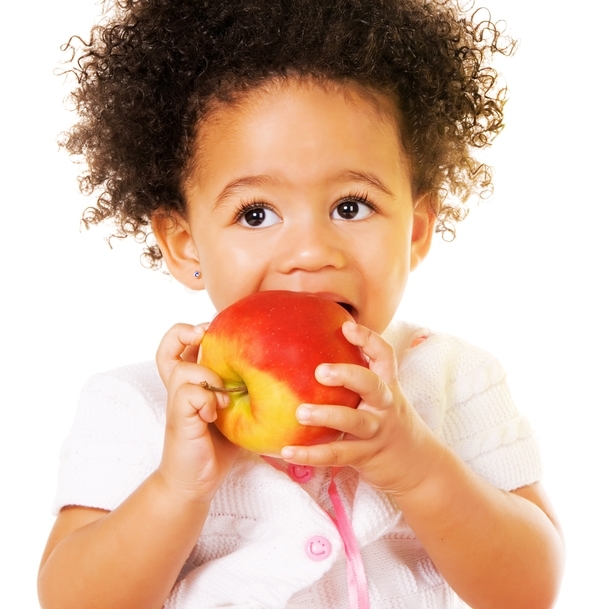 If your child has a balanced diet, the teeth will develop properly and have healthy gum tissue. A variety of foods contain sugar, and all sugars promote tooth decay. Foods with starch turn into sugar, and include crackers, pasta, pretzels and potato chips. Even fruits, a few vegetables and most milk products have sugar. Be sure your child has a balanced diet by checking how often they eat foods with sugar or starch in them. The more frequently a child snacks, the greater the chance for tooth decay. How long food remains in the mouth also plays a role. For example, sticky foods (fruit snacks, dried fruits) stay in the mouth a long time, which cause longer acid attacks on tooth enamel. If your child must snack, choose nutritious foods such as crunchy vegetables, low-fat yogurt, and low-fat cheese, which are healthier and better for children’s teeth.